The results speak for themselves! Research confirms healing abilities of Aloe Arborescens. See a list health benefits that Aloe can have on your body. Aloe Arborescens is a species of flowering succulent perennial plant that belongs to the Aloe genus, which it shares with the well known and studied aloe vera. Aloe Arborescens is a species of flowering succulent perennial plant that belongs to the Aloe genus, which it shares with the well known and studied Aloe vera. 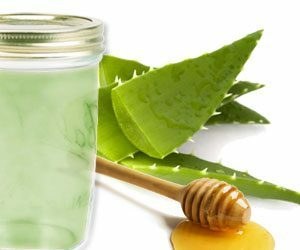 Most of the aloe leaves consist of the gel-like pulp, about 99 percent of which is water. The remaining one percent boasts at least 75 known nutrients — including 20 minerals, 12 vitamins, 18 amino acids, 200 active plant compounds such as phytonutrients, enzymes, proteins, oils, monosaccharides and polysaccharides. The Aloe arborescens species has been known for several thousand years to support immune system functionality and have broad-based health benefits. Aloe arborescens is 200% higher in phytonutrient compounds than Aloe vera, and promotes great general health and well-being. Aloe Arborescens is a Dietary Supplement for Supreme Immune Health that is made using the internationally acclaimed Brazilian recipe by Father Romano Zago. This Brazilian recipe consists of whole leaf Aloe arborescens liquid, unheated raw honey, and 1% certified organic alcohol. The product aids the body’s defenses by supplying supreme immune support and general cleansing for the whole body for those who want to achieve optimal health and increase energy and vitality. You ask me what were the secret forces which sustained me during my long fasts. Well, it was my unshakeable faith in God, my simple and frugal lifestyle and the Aloe, whose benefits I discovered upon my arrival in South Africa at the end of the nineteenth century. Aloe vera has been studied extensively for cancer treatments. Doctors have developed aloe vera extracts to supplement cancer treatments. Many treatments have shown to be successful. Aloe is packed with nutrients needed to boost the immune system and kill off viruses, bacteria, and abnormal cells. Only aloe arborescens contains between 2 – 8 times the amount of nutrients that aloe vera does, making it the optimal variety for an immune health supplement.